Whoever said summer was about long lazy days fibbed or didn’t have kids. Now that school is out it seems like I run all day. 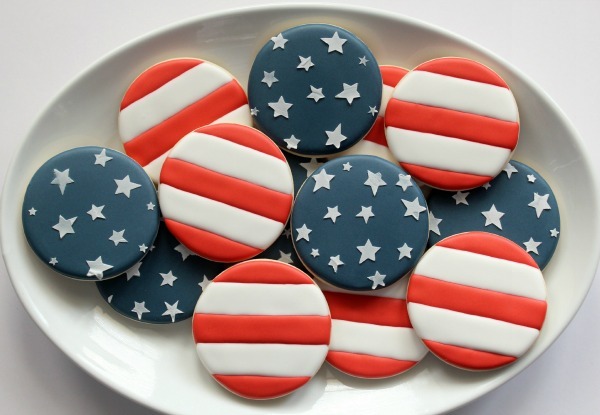 Fourth of July cookies are one of my all-time favorites to make but it seems like every year I run out of time. It’s times like this when I revert to simple and sweet. These cookies can be made with or without a Kopykake. Either draw lines on the cookie before decorating with a food safe marker or print out the nifty little template below and use a projector. 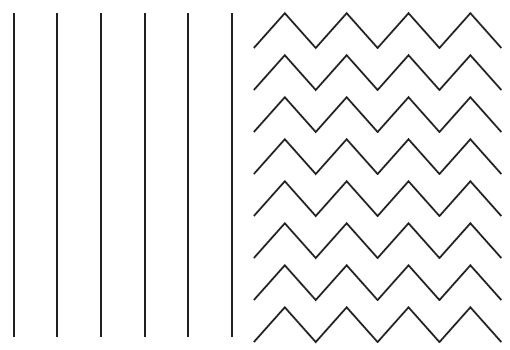 To print your stripe/chevron Kopykake template, click HERE. This template also works well for candy stripes, just place the cookie at an angle. I have a random collection of old stencils that I used for the stars but if you don’t have any star stencils hanging around, I recommend this one from Salsa Sweets. 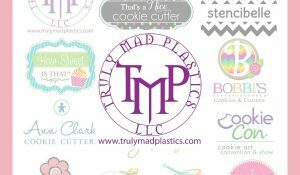 For help with stenciling click HERE. 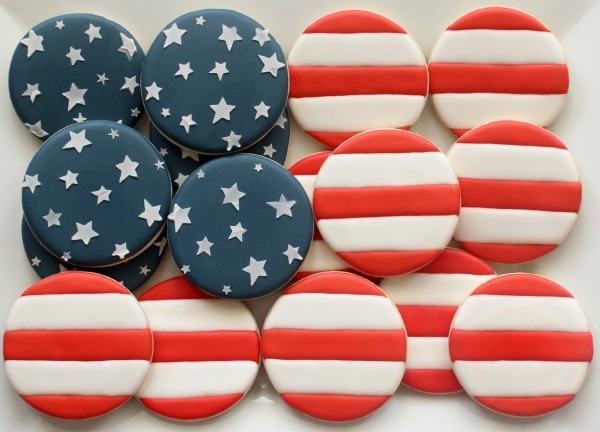 These cookies look great all jumbled together but I like them arranged to look like a real flag. I love your tutorials — thank you so much for sharing your knowledge!! I also LOVE that you provide links to your previous works which may be helpful. You are also generous enough to share links to the works of others — what a great way to “meet” other great cookie creators! Thank you! Love these! Thanks for sharing the link to my funfetti cookies. 🙂 Happy Independence Day! My daughter has been hounding me about chevron 4th cookies. For me it is only a matter of a time crunch….I love this platter festive and fun! I cannot wait to seeeeeee! My favorite cookies are ones that are simple yet wow people…like these! Love them!!! The best part are your stencils stars. I only stenciled once and I didn’t like it very much. Maybe I need to try a less intricate pattern? It took me a while to like stenciling. It’s kinda slow for my taste, if that makes sense. I had to learn patience. NOT one of my strengths, lol! 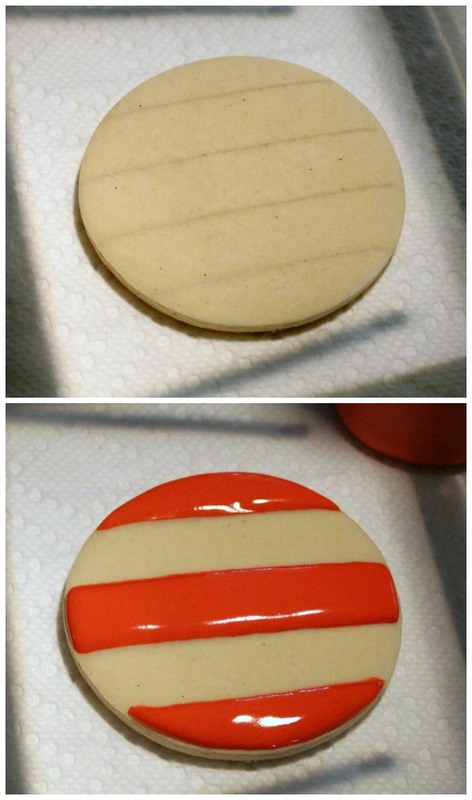 I have been trying so hard to get good straight lines when icing cookies with royal icing….I’m having a hard time! Is it practice makes perfect or are there any other tips you can give me when outlining and filling in? Look ahead to the end and keep the tip up and away from the cookie. So simple but they have such a huge impact. 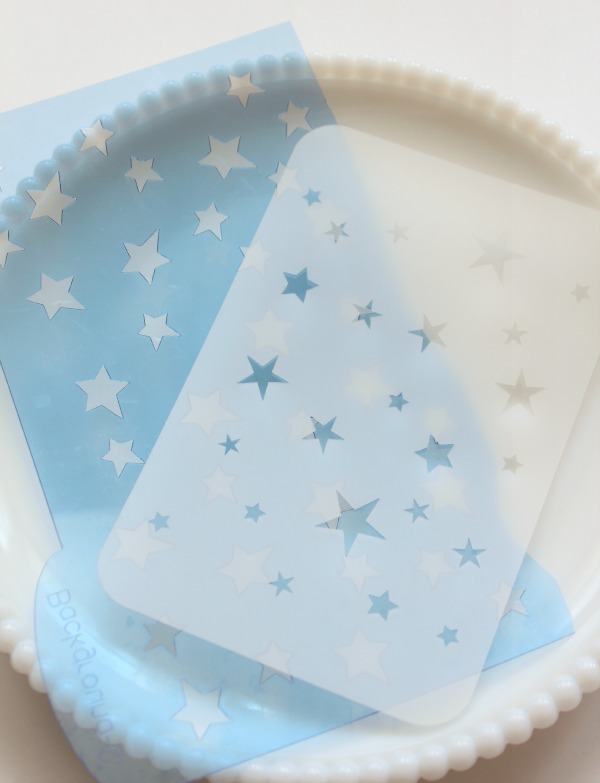 I love the stars and found the stenciling link helpful. They may be simple but, they are amazing! These will be the hit of any July 4th bash! These are awesome, just in time. Thanks for this share!! Love these cookies…I may have to try these. My MIL Bday is on the 4th. She’d love them! thank you! 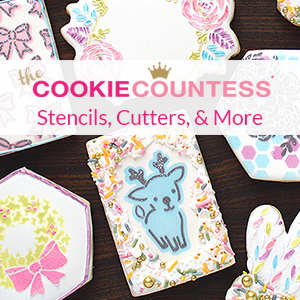 I agree, even some of the simplest cookie designs can have a huge impact! These certainly do. Great cookies Callye. Have a wonderful Independence Day celebration. Did you use 20-second Iicing for the stripes? Btw, I recently fell in love with your blog. 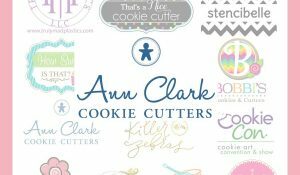 I’m very, very new to cookie decorating (as in I’ve only done it 1 time) and your blog is so full of helpful nformation. I’m sure my next try will be so much better! 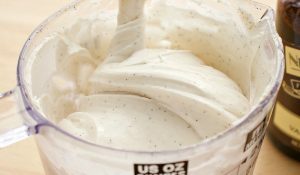 I’m also loving this blog! 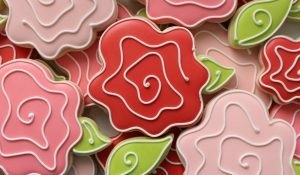 I feel like so many cookie decorators are trying to make a business out if it so it’s all very hush hush so I’m very grateful that you share so much great information! I’m just trying to figure out what you pipe when you plan to do multiple colors? Do you only pipe once and in one color and just flood in the different colors?